BULLY IN THE HALLWAY: Our favorite time of year... Bully in the Hallway Halloween Schedule! Our favorite time of year... Bully in the Hallway Halloween Schedule! Halloween is definitely our favorite time of year... why? Shows are good, people are ready to party and (best of all) we get to pay tribute to our musical inspirations. 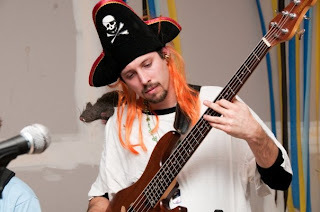 Past Halloween shows have been fun (Ronny's...Exit...). This year is no exception, as we have THREE shows that CANNOT BE MISSED. Why? 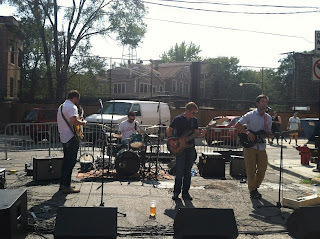 Show #1 - BOOGAZI (our Fugazi alter ego) plays with the world's ONLY full-time Husker Du tribute band, Husker Dudes at Township. 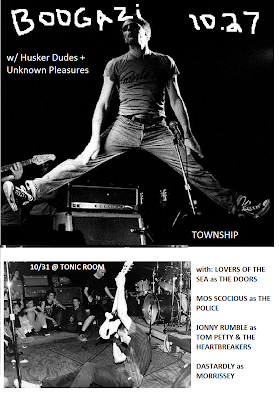 Also joining us is Unknown Pleasures playing the best of Joy Division with little to no smiles whatsoever. This show is SATURDAY 10.27.12 at Township. Show #2 - Bully in the Hallway is honored to join a support effort for our deal pals Fallen Rivers for a special event and concert at the Hideout on Tuesday, 10.30.12. Why come out? Well, just a few weeks ago a terrible fire burned down a large warehouse overnight. The warehouse contained Fallen Rivers' practice space, and they lost ALL of their gear in the fire. ALL of it. This show is a fundraiser to help them rebuild their band. What's great to hear is their resolve, that losing instruments the fire "doesn't stop them from playing music." Right on! This show is also with Tell Your Friends - Come to the Hideout on 10.30.12 (this night is also guitarist Billy's 30th birthday...). 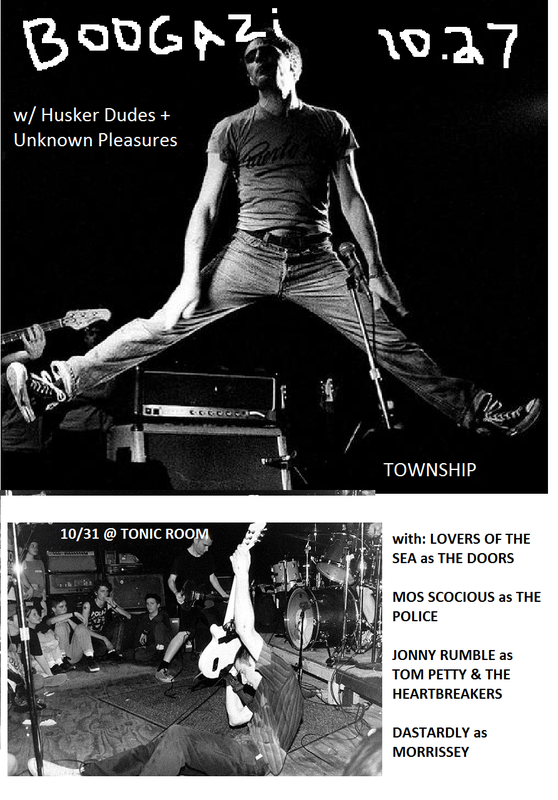 It's Halloween, get out of your house and get to this show, 10.31.12 at TONIC ROOM!! Great postings with beautiful photos.